If you prefer to do your YouTube binge-watching on your smartphone, you're in luck. 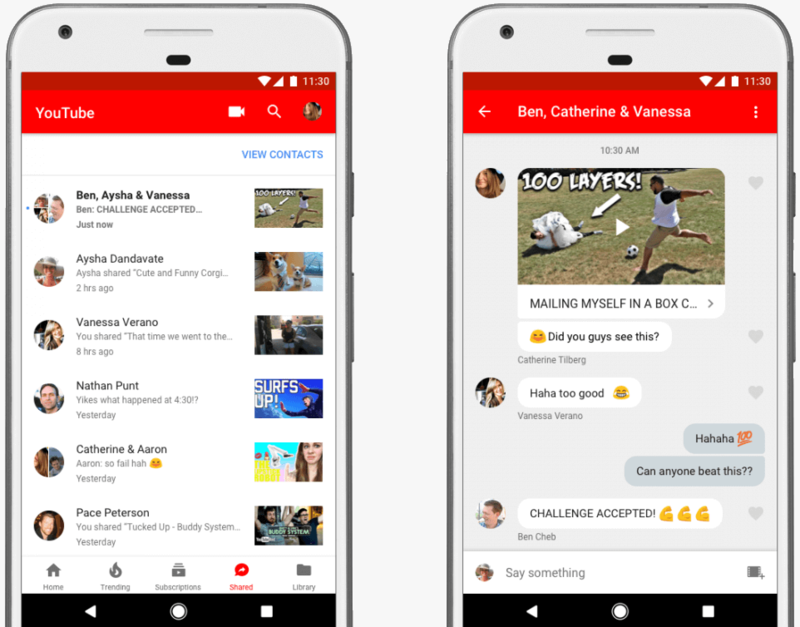 YouTube has just released their new mobile-exclusive in-app private messaging feature which will allow users to discuss and share videos with their friends without needing to leave the app. This messaging functionality isn't a separate part of the platform - rather, it's simply built into the existing video share button. Now, when users go to share a video, they'll have the option of selecting one or more people from their phone's contact list to invite to a private discussion. The video is then integrated directly into the conversation, allowing participants to watch (or pause) it at any time. In addition to being able to view the initial video, participants can share other YouTube videos in the discussion without the need to start a new chat thread. If scrolling through your contacts to find a specific person doesn't sound like your cup of tea, it's also possible to grab a direct discussion link and share that with whomever you'd like to invite to the chat. As convenient as this feature might be, the functionality is very limited at the moment. Aside from the ability to post emojis and share other videos from the platform, you can't really do much else - apps like Facebook Messenger are still going to be king for your general messaging needs. Regardless, there's tremendous benefit (for YouTube) in keeping people on the platform for as long as possible and this new messaging feature is a clear attempt to do just that.